Effective April 2019, Welsh resident taxpayers are subject to the new Welsh rates of income tax which are set by the Welsh government. Welsh taxpayers will continue to pay income tax in the same as they have done previously but will now pay a UK rate and a Welsh rate. Welsh income tax will apply, even if the Welsh resident employee works in England. In addition, the Welsh rates are 10% for each bracket above, meaning that overall, there is no change to income tax rates for Welsh taxpayers in the 2019/20 tax year. Of course, this could change from April 2020, depending on the Welsh government and we will advise accordingly. It is the responsibility of the individual taxpayer to ensure HMRC holds correct contact details and is informed of any change in address. 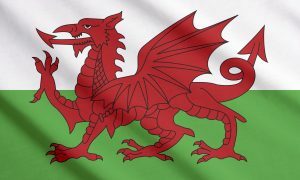 Employees or pension recipients deemed to be Welsh resident will be given tax codes starting with a C. The employer or pension provider is not responsible for deciding an individual’s Welsh taxpayer status. Self-employed individuals will be required to disclose their country of residence on their Self Assessment tax return. If you are an employer, please encourage your employees to check if HMRC holds their correct contact details using their personal tax account Any changes of address can be managed through this facility. If you would like to discuss the new Welsh rates of income tax, please contact us on [email protected] or call 01527 558539. To read more about our services, visit our website or call 01527 to arrange to come in and meet with one of our experienced team. Or take a look at the Welsh government’s website for further details.